I'm always interested in fusions of different styles but being a long time lover of African roots music I can get a little iffy when people start to mess with the so-called authenticity I perceive there to be in certain African forms of music. I'm still very uneasy about Paul Simon's Graceland but then I do like Lizzy Mercier's Zulu album. I don't like a lot of Paris produced rumba but I love Soro...confused, well maybe. For me its as simple as either liking or not liking a track. The debate seems to go on and on. African producers in the UK accuse so-called World Music affectionardos of not listening to whats popular in Africa whilst these listeners are simply voting with their cash on stuff they like. Reggae is no different. So many of my generation will not listen to the latest sounds out of JA simply because they prefer seventies roots. There is no denying that there was something magical about the seventies in the developing world and the music that abounded. It occupies a special place in my heart and collection. However there's more to life than that. And so on to todays selections. First we have a musician who wrote a doctorate on African music. He collaborated with musicians in Kenya to produce the album Ok-Oyot System. Its available from Thrill Jockey. Interesting. Second up is from the soon to be released Chimurenga Soul record by Camden-born Zimbabwean Netsayi. Somehow being between the two countries has captured her and she uses the muse of music to let it out. Great stuff. Read more here. Her website has more Lets hope she doesn't get over-sold like Corinne Bailey Rae. 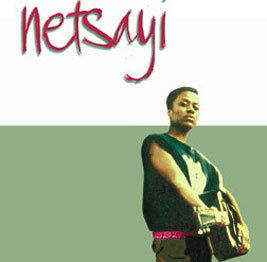 Just got hold of Netsayi's album and it's cracking! Thanks for the tip! There's a really interesting mix of influences here - to me, it's more folk than anything else ... just goes to show what a waste of time all the genre labels are, right? Great stuff.